Vodafone has released new mobile roaming rates and allowances that will apply to all its customers. From today, Vodafone is increasing its daily data roaming allowance by five times. This means, those accessing Internet from their mobile phones can consume 25MB of data each day, up from 5MB previously. 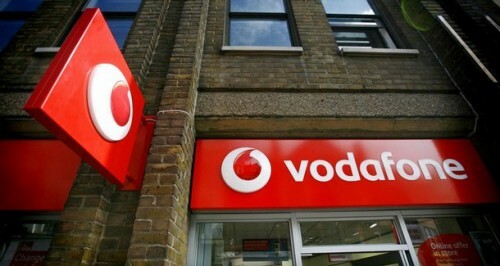 Vodafone divides its data roaming territories into two price zones – Europe, and the rest of the world, and the European zone constitutes 35 countries. If you’re on a contract, you can pay an extra £10 a month to receive this new European roaming allowance. If you’re venturing outside of Europe, you can expect to pay £5 a day for 25MB of data. Those on monthly plans costing £40 a month or more (with at least 900 UK minutes) will receive Vodafone Data Traveller for Europe at no extra daily cost. Alternatively, you can opt to pay £2 a day for a Vodafone Data Traveler pass, which would probably make more sense for those only venturing abroad for sporadic short stays. The same per-day rates apply across both contract and PAYG customers. Rates for data roaming from laptops and tablets are slightly different. You will be able to access 100MB per day for £8, whilst elsewhere in the world 100MB of data will set you back £25 a day. Vodafone’s full data roaming rates are now available online, and it also announced that it was introducing a £100 monthly cap for customers traveling outside of Europe. Caps are already in place in Europe, with the €50 regulatory limit ensuring Vodafone customers can’t spend over £38 on data each month. Vodafone will send a free text alert when a customer reaches 80% of their monthly spending limit. Once the cap is reached, an automatic data roaming bar will be applied which customers can only remove by texting STOP to 40209 or calling customer services. With summer almost upon us, and with many people considering whether to stay in Europe or venture further afield, you will probably be thinking about the costs of using your mobile Internet abroad. Whether you opt to pay on a per-day basis, or a flat monthly rate, will depend on how much you travel abroad.